Our family estate is located in one of Germany’s most picturesque regions – the Upper Middle Rhine Valley, which is part of the UNESCO World Heritage. We practice organic viticulture on the best steep slopes of Bacharach, Oberwesel and Oberdiebach, and our vineyards cover an area of 3.5 hectares. 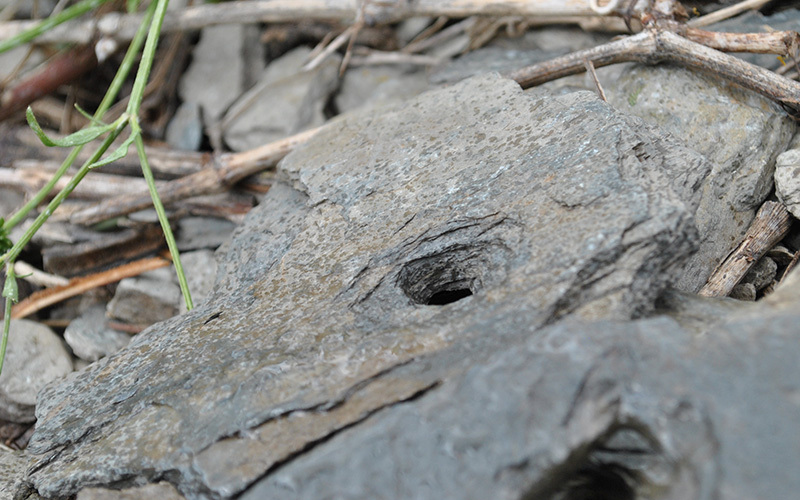 Our particular passion is Riesling from slate soil, in all its facets. We are dedicated to the preservation of steep-slope viticulture in a well-managed natural landscape. For us it is self-evident that organic viticulture is the best way to exert a positive influence, so we have practised this method of cultivation since founding our estate in 1982. We are a member of the Bundesverband Ökologischer Weinbau (ECOVIN) and are certified on an annual basis (Gesellschaft für Ressourcenschutz, Göttingen – DE-ÖKO-039). In 1996 we were fortunate enough to be able to buy part of the former Wasum winery, which has a marvellous cross-vault cellar with integrated slate rock and is listed as part of the country’s architectural heritage. We are gradually restoring the building to its former glory. We would be very happy if you were to visit us at our estate, but would ask you to notify us of your arrival in good time. 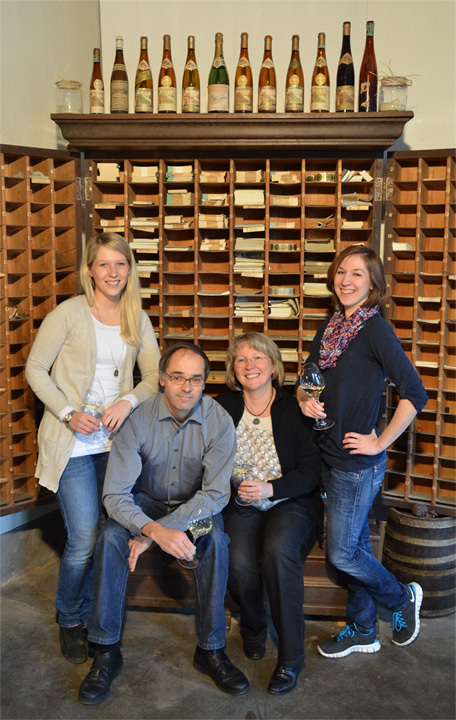 Randolf Kauer is the person responsible for everything to do with wine at the estate. He manages the vineyards and puts his signature to the wines. Due to his obligations as Professor of Organic Viticulture at the Geisenheim University, on weekdays he is also to be found on the other side of the Rhine. Meantime, Martina Kauer keeps things going in Bacharach itself. A restaurant manager by qualification, she has been in charge of sales and the ‘paper warfare’ since the estate was founded. It is she who keeps track of everything. Lena, the older of their two daughters, gained her secondary school-leaving certificate, or Abitur, in 2009 and studied successfully maths and sports science at Koblenz-Landau University. Today she is a primary school teacher, but this in no way prevents her from lending a hand in the wine business. Anne, the younger one, did her Abitur in 2010, after which she travelled around Australia for three months. Having completed an apprenticeship as a hotel manageress in the castle hotel “Auf Schönburg” in Oberwesel, she made a couple of internships in Wineries. In July 2017 she gained successfully International Viticulture in Geisenheim and is now at home bringing some new ideas in. 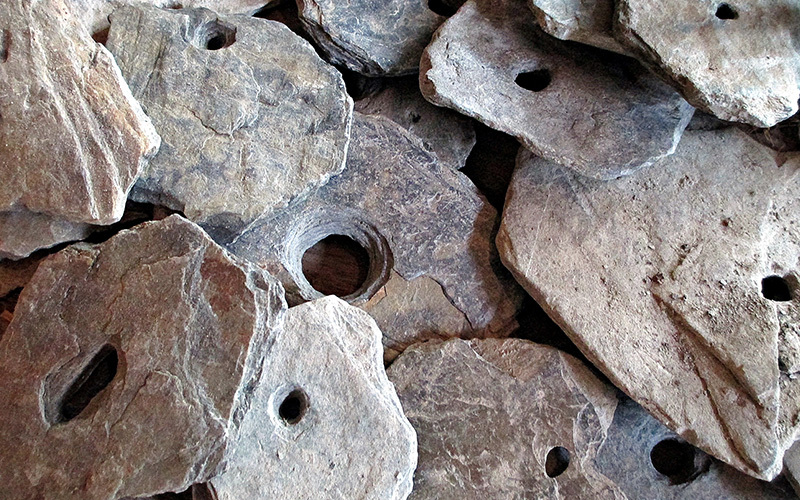 Here to the south of the Middle Rhine region, where the shale is very soft and crumbly, characteristic slate stones with a hole can be found in the vineyards. 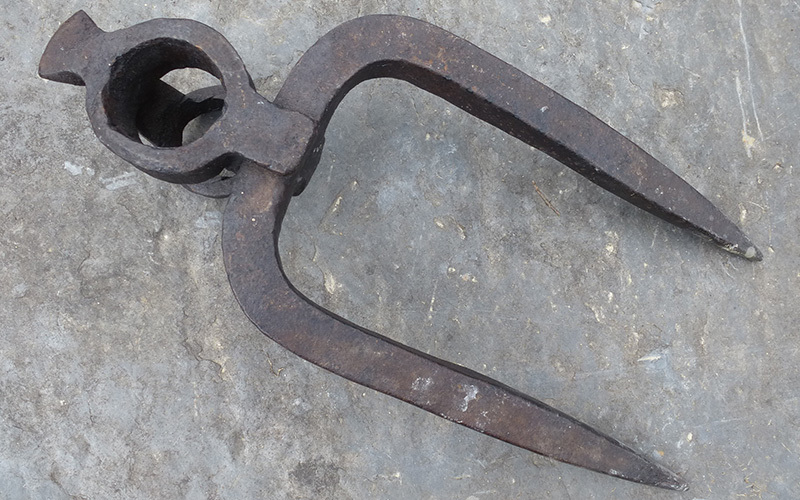 These testify to the arduous work once carried out with a two prong pick (German: Karst) and it has often taken very many years for them to make their way to the surface of the soil. We regard them as a symbol of our homeland and of our mindful treatment of nature – consistently organic viticulture – with “karst” and “sweat”. 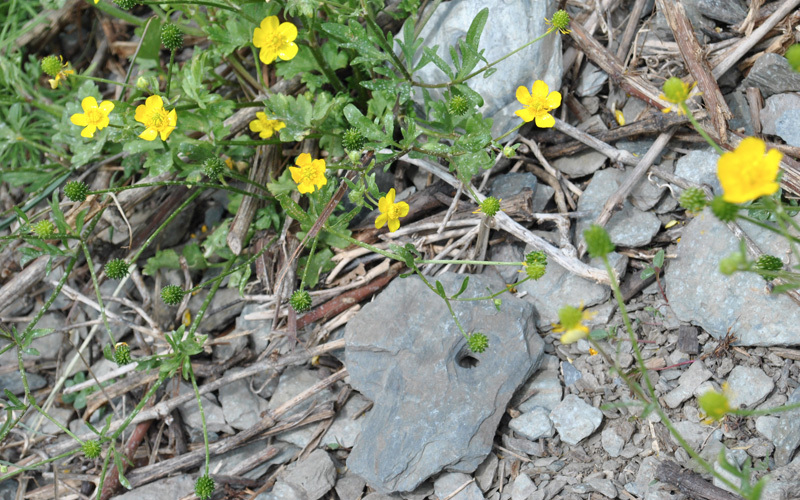 … What is more, you can also taste what was struck out of those slate stones. Three “Riesling enthusiasts” (Heinz Willi Eichner, Randolf Kauer and Franzgerd Mießner) make their first wine. Franzgerd starts studying agriculture and opts out, of necessity; Fritz Stüber Junior opts in, bringing a Deutz 11 tractor along with him. Randolf Kauer starts studying viticulture and expands his vineyard in the Steeg Lenneborn site to 2,000 square metres. Of course, he cultivates his land “organically” – something that raises a few eyebrows among his colleagues. The Chamber of Agriculture officially grants him a business number, without bothering to inquire further. 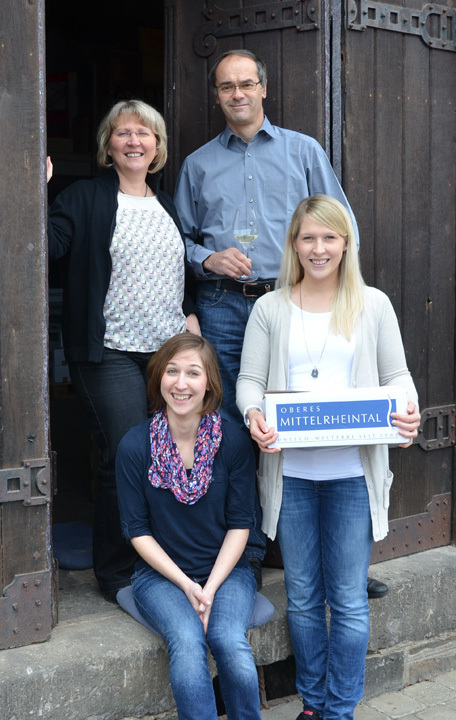 His first cellar is located on Hinterweg in Steeg, with a comfortable 24 square metres effective area for cellar work. First Riesling sparkling wine, using the classical bottle fermentation process (with help from fellow-student Klaus Veit). Fritz Stüber moves to the Edelfaul estate in Manubach, making it necessary for Randolf to acquire a new tractor. One day, Gerd Link turns up at our place wanting to make organic wine with us – a “fateful encounter”. The sketch of the view of Bacharach on our label is created one Sunday afternoon. First ECOVIN certification, for Gerd Link’s Beulsberg wine in Urbar. Fritz Stüber Senior gives his son-in-law Randolf and daughter Martina his vineyard, while his hotel goes to his son Andreas Stüber. Anne Kauer is born, and things get even livelier at the Kauer home. “Emergency transfer” of the cellar work to the Rhein Hotel, upon termination of the lease on the old cellar space. A Riesling Spätlese from Kloster Fürstental makes the estate “Discovery of the Year 1992” in Alles über Wein. After 13 years of paternal support from Fritz Bastian with the grape pressing, we buy our own (second-hand) grape press and move to a cellar on Borbachstrasse, Bacharach-Steeg. Michael Apitz invents the “green corner” for our label. Peter Jost sends Stuart Pigott to us – and we get a very honourable mention in his first “Riesling Bible”. The young Kauer family moves to Blücherstrasse, having grown out of their former apartment. 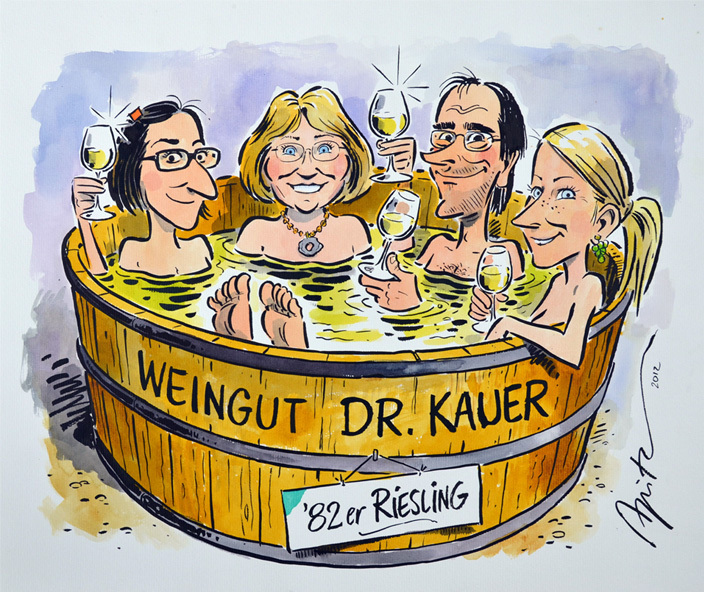 Randolf Kauer is awarded a Doctorate in Agricultural Science – although viticulture and oenology are all he has ever studied. We lease a plot of land in the Bacharacher Wolfshöhle. A whole page is devoted to us in the first edition of Gault Millau. Randolf start two additional years of training in Neustadt on the Weinstraße, to become an agricultural assessor. The Wasum winery building in Bacharach is up for sale, and we are confronted with the most important decision in our lives. Building bought as seen, the most urgent renovations done, yet another cellar move and then the first autumn in our own cellar: things are really getting serious. Randolf Kauer returns to his alma mater, Geisenheim, to take on a deputy professorship in ecology. Additional vineyards acquired in the Diebach valley. Horst Maurer supports us with the work there. First wine from Oelsberg in Oberwesel. ECOVIN membership, plus EU Organic Certification. Randolf Kauer is appointed Professor of Organic Viticulture in Geisenheim. 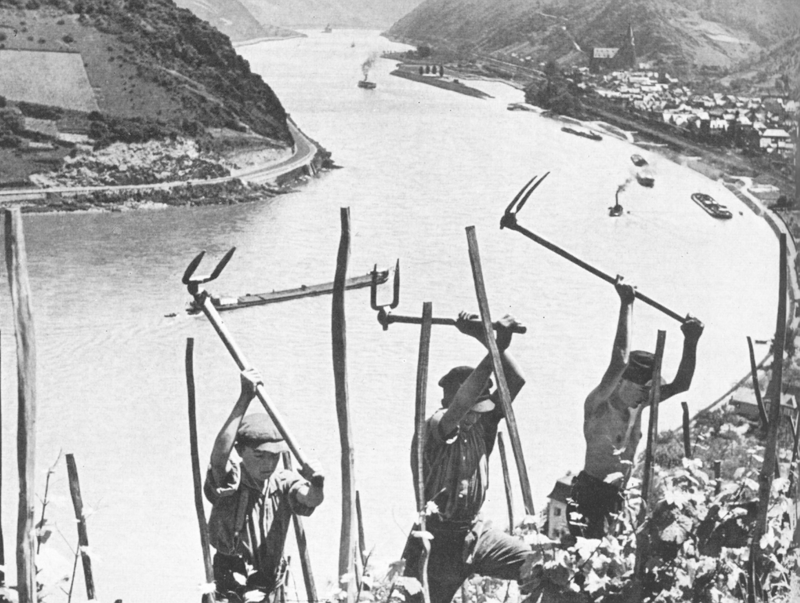 On 27 July a tornado destroys practically the whole harvest in Oberwesel and Urbar – one positive result is the TORNADO Spätburgunder Weißherst, which is in great demand to this very day. The end of the cork era – long live the screw cap! We harvest our first Beerenauslese and bottle it with screw caps. As of 2006 the whole collection is screw cap. The estate’s grape pressing and grape delivery areas are totally renovated and newly equipped, so that autumn is now child’s play. The ongoing refurbishment of the whole house remains “work-in-progress”. Our estate is 30 years young - this is celebrated the whole year - especially in November with Stuart Pigott and many guests. The proceed of 3000 euros go to "Wein hilft" for AIDS projects in South Africa. ...oh yes, one more thing: Anne begins to prepare for her studies in "International Wine Management" with internships at the Nahe (Emrich-Schönleber) and the Mosel (Clemens Busch) as well as at the German Wine Institute in Mainz. This year, both of our daughters have finished their studies and now start full time in the professional life! Lena will take her first group at primary school after the summer holidays. Anne finished her studies in July in Geisenheim as a Bachelor of Science International Wine Business and is gradually entering the business.